This holiday season Echo have teamed up with Street Child to help plan and brand the inaugural Craft Half marathon, in support of Street Child’s Right to Learn Appeal. Street Child is working towards a better future for us all through helping support and protect the world’s most vulnerable children, enabling them to go to school. On the 4th of February, runners of all levels will congregate on the wonderful Wimbledon Common, running whilst sampling some of the UK’s finest craft ale. 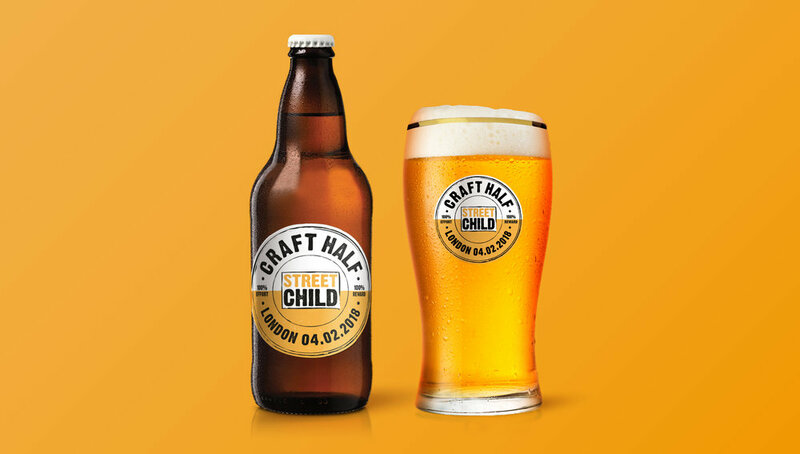 Post-run, Street Child will bring you the Craft Half-ter party, held in a stunning toasty event village complete with live music, sizzling street food and of course, more craft ale. Bringing the event idea to life with a bold and impactful brand mark, Echo have captured the craft half spirit and fun personality. Every pound raised by Craft Half runners will be matched by the UK government as part of Street Child’s Right to Learn Appeal meaning double the impact for projects in West Africa. For further information please contact, Nellie Veltman, Marketing Director for ECHO. As your Design and Innovation partner, we believe in creating a better experience for people through product and brand uniting as one. And this is where our expertise lies. An independent agency, we are based in London but our clients can be found all over the world.